A great PR tool for beauty brands is a simple concept: recipes. This asset is even more powerful when you have a brand with products already popular in mainstream DIY tutorials. Examples can include essential oils and of course shea butter. You are not only providing valuable content to the media in the form of photos and step by step instructions, you are also creating shareable content perfect for social media. The images of course should be Pinterest worthy. To compliment this, the recipe should be thorough and contain useful tips and insider tricks. If you can team up with a trustworthy expert as the voice of your recipe, this is an added bonus. Here is an example of a collaboration we did with lifestyle expert Jasmine Stringer of carpediemwithjasmine.com for the Out of Africa Shea Butter brand. She created a recipe for fizzy bath bombs using one of the line’s best selling products as a main ingredient. This is fantastic exposure for the brand and also a way to help with SEO. Sometimes a relaxing bubble bath is all it takes to seize the day. 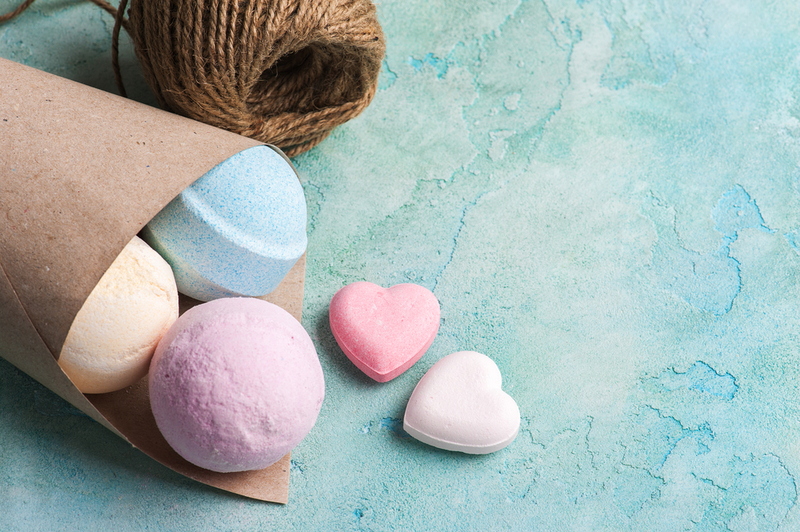 To make these bath bombs successfully, it is important to have your ingredients measured out and ready to mix. Combine and stir the baking soda, citric acid, cornstarch and powdered milk in a bowl. Melt the Out of Africa Pure Unrefined Shea Butter along with the honey and oil over a low heat in a small pot on the stove. The Out of Africa Shea Butter is loaded with antioxidants and vitamins A, E, & F along with healthy fatty acids and valuable phytonutrients. Add the melted ingredients to the dry mixture, using a whisk to thoroughly combine everything. For an enhanced spa feel and fragrance, place a few drops of your favorite essential oil. Mix well. The ingredients should begin to hold together. Working quickly, use your hands to press the mix firmly into the trays. Leave the mixture in the mold for a couple of minutes and then pop out. While one tray is drying, work on the next. Tip: Put a cookie sheet over the trays, flipped them over and then lifted the mold off. If you have anything leftover, just dry the product out, leave it loose and turn it into a bath powder. Simply leave the mixture in the bowl for 24 hours, periodically mixing the ingredients to break up the clumps. Once all of the moisture is gone, place in a mason jar with a colorful ribbon. Let the bath bombs dry overnight. The next day, place them in a decorative bag or drop 1 to 2 bombs into your tub and relax.